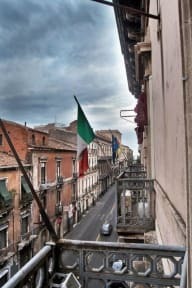 Hotel Biscari i Catania, Italien: Reservér nu! Hotel Biscari has 10 rooms suitable from 2 to 5 places. Every room is equipped with private inside bathroom (except one with external private bathroom), balcony or big window, TV, telephone, air conditioning, free Internet Wi-FI connection. 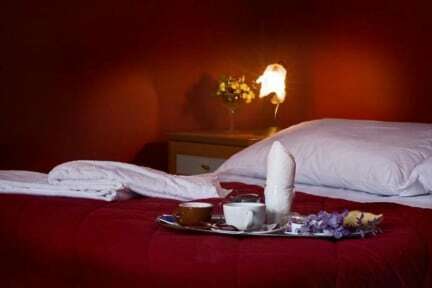 All the rooms are furnished in old XIX Century syile, located in the very centre of Catania. The most of the rooms look at the beautiful scenery of Via Vittorio Emanuele.